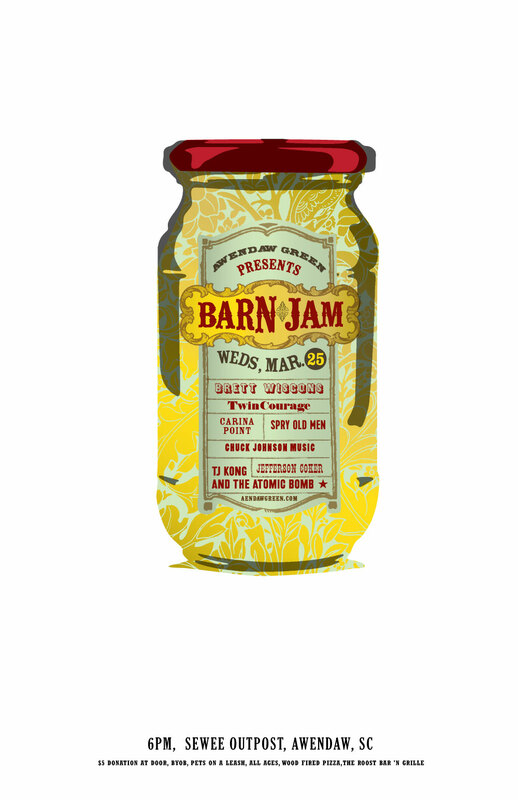 this is a throwback tuesday barn jam poster. went back to some early stuff. spiffed it up some. barn jam tomorrow night, go throwdown.